Since I took an extended blogging break, I never shared the quilt that I made for my cousin's wedding from my Stash Bee blocks last year. I had asked for a disappearing 4-patch block in purples and grays and my bee mates didn't disappoint. Of course, the day that I was mailing it off, I realized that I hadn't taken proper photos of it so these are the few that I got before it was sent off. 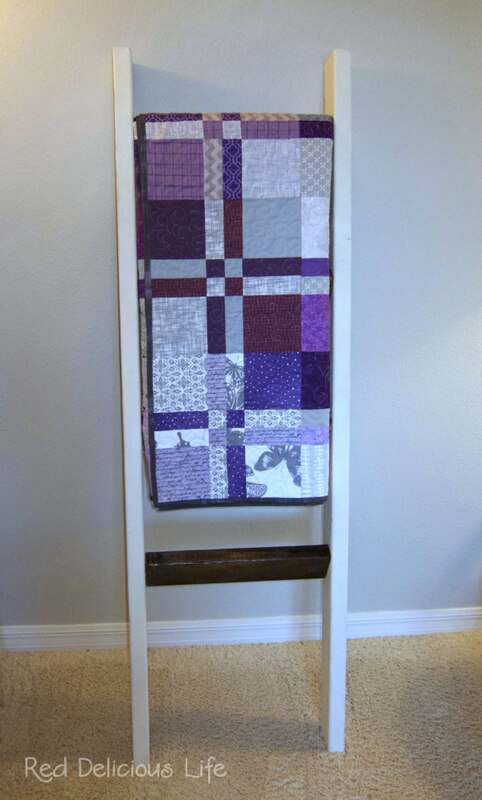 You may recall seeing a photo of it laid out and then on the quilting frame. I'm happy to announce that It was gratefully received. D4P is such a versatile blocks. Your beemates came through with lovely colors. 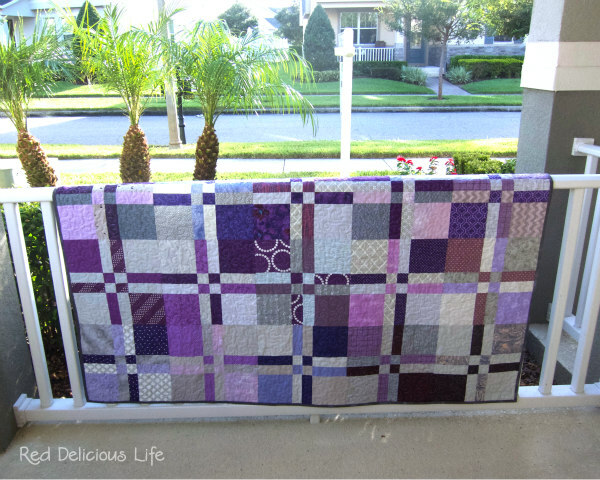 This is such a wonderful quilt! I love all of the different shades of purple. Purple and grey make a fabulous combination. I’ll have to try that one day, even though I am not a purple person. It's lovely! Great colors and and I really like how it all comes together. What a lovely wedding gift! I really like the light grays with the purples. I think it works so much better than if you'd used white. It looks great! I'm sure they will treasure it.